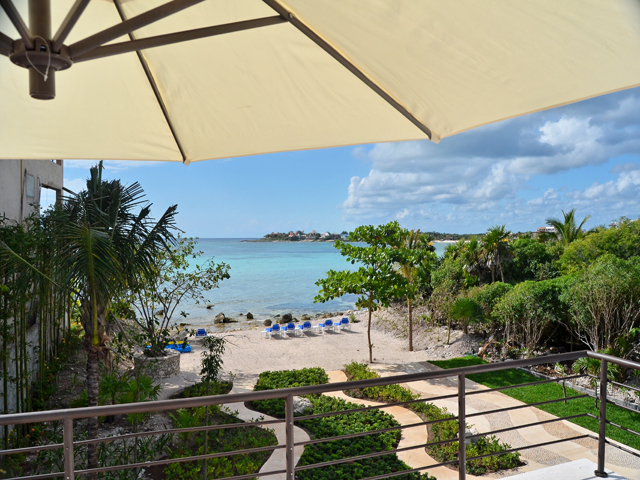 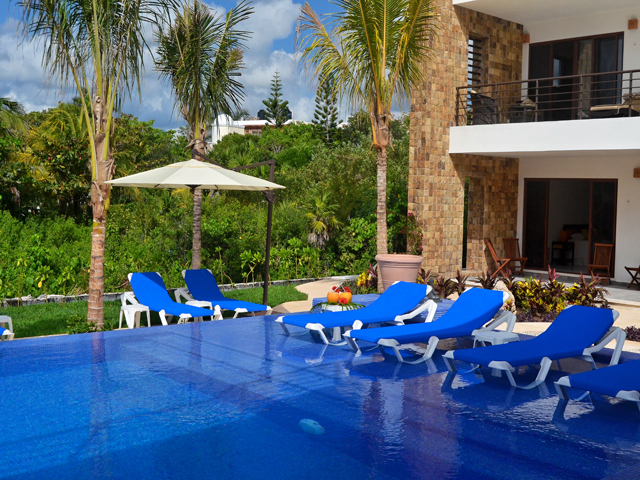 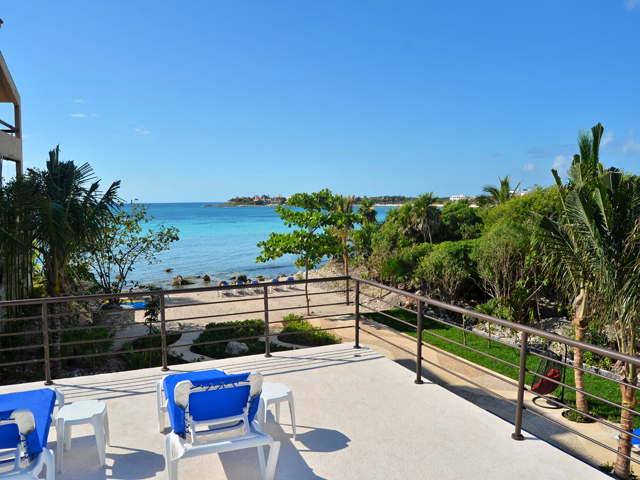 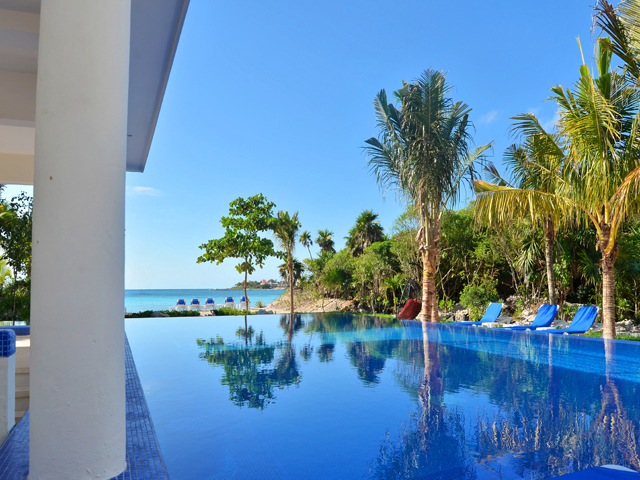 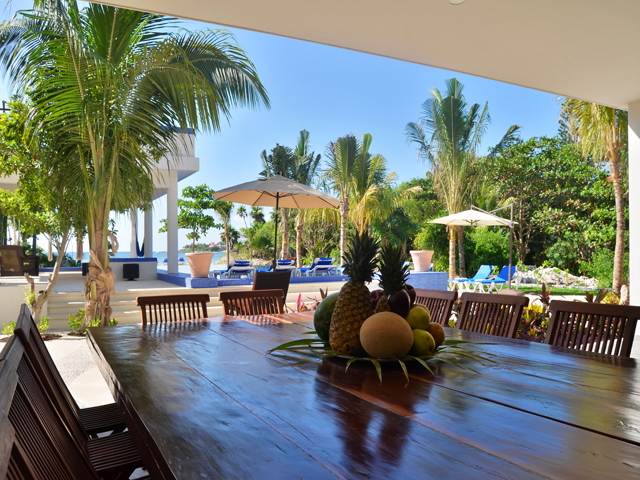 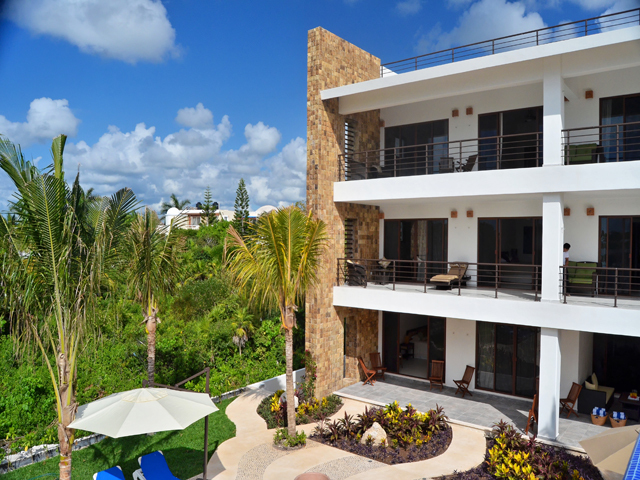 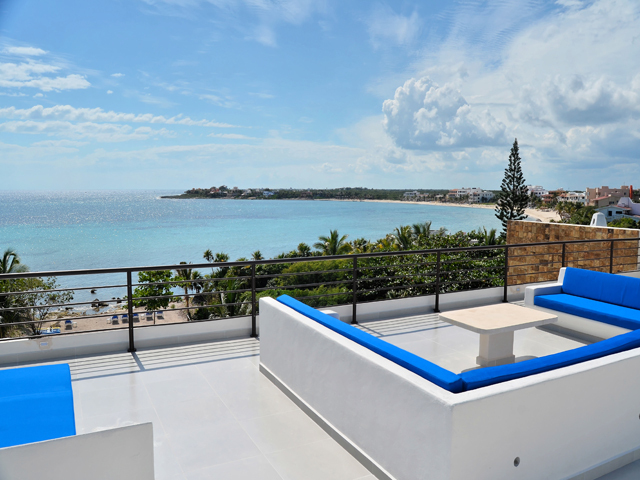 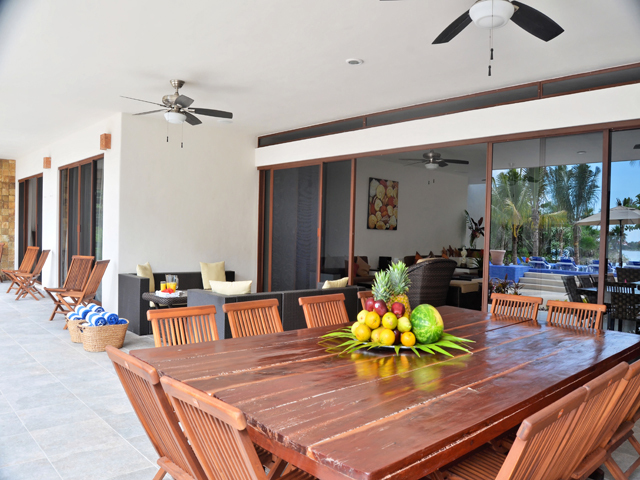 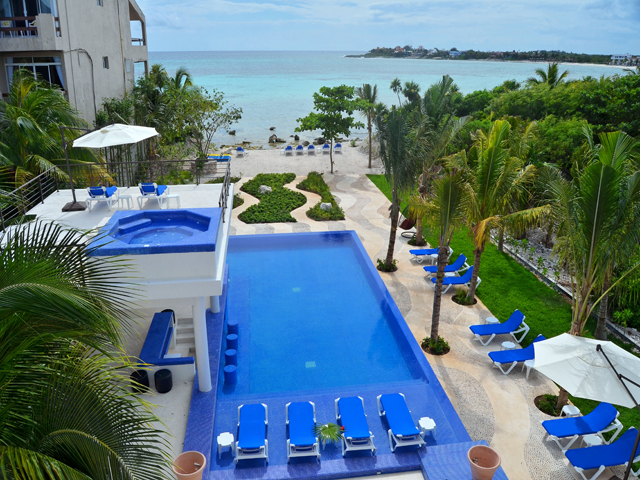 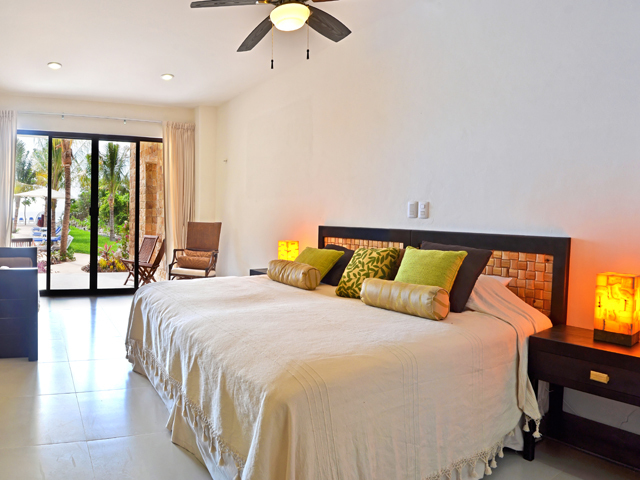 Villa Bellamar is one of the largest villas on the Riviera Maya with 13 ocean view bedrooms. 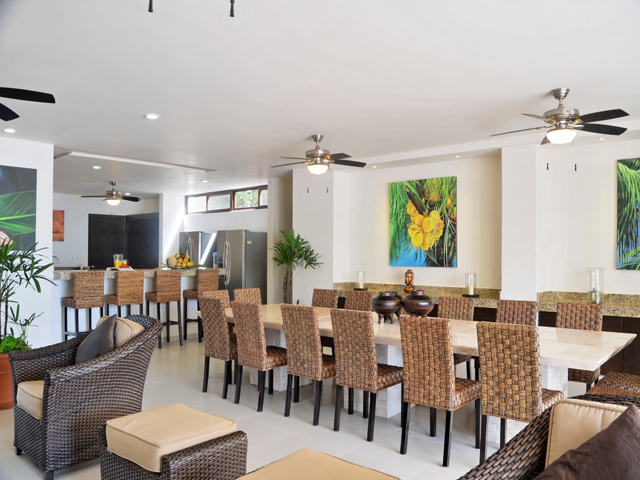 For large family groups or retreats, this villa is the perfect solution when it comes to combining Luxury in a large beachfront home. 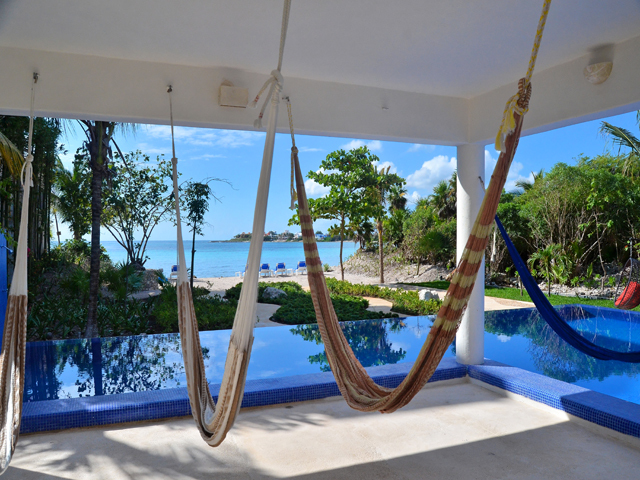 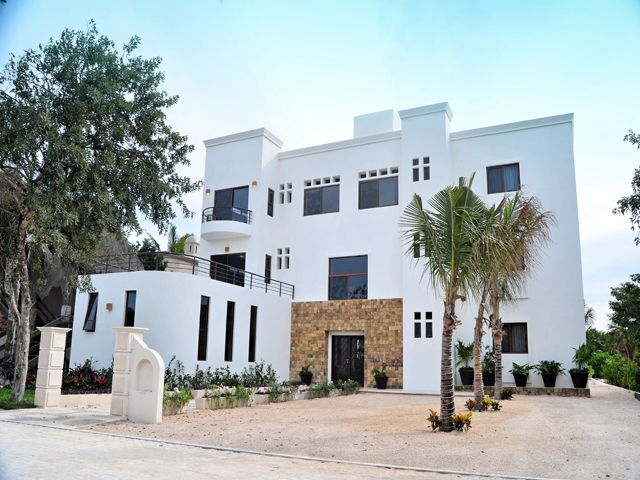 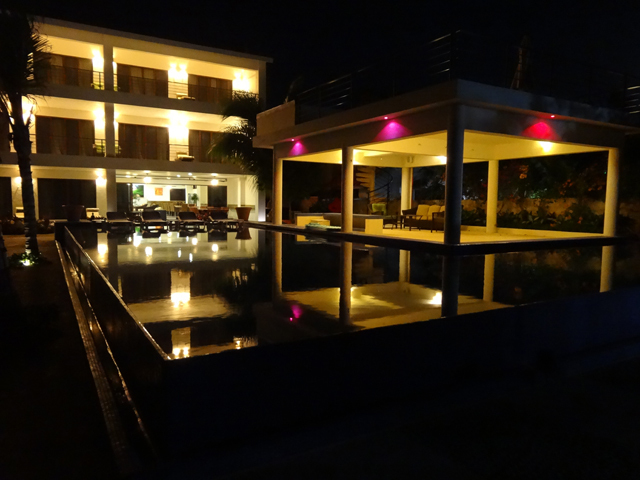 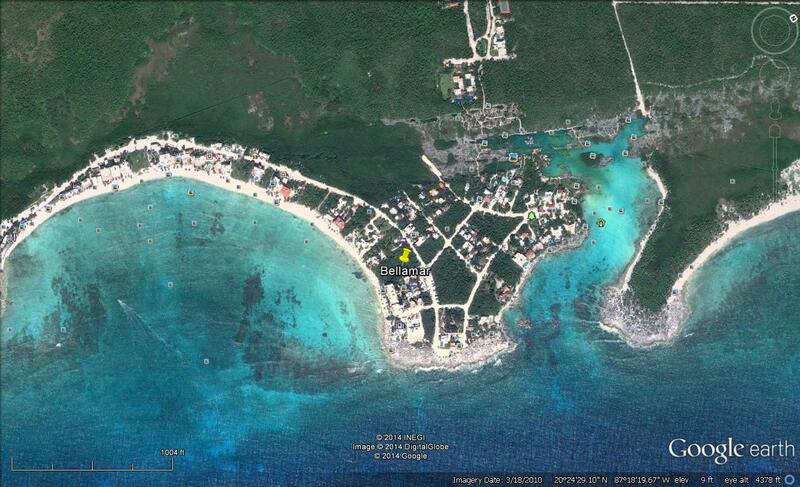 Villa Bellamar is 20 mins to Tulum, 15 minutes from Puerto Aventuras and 30 mins to Playa del Carmen, by car! 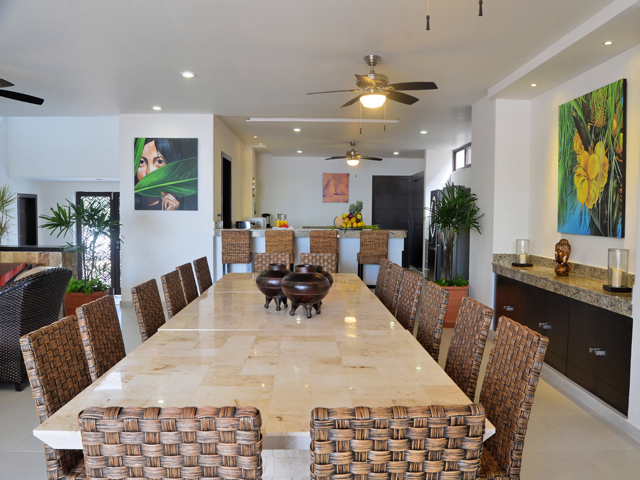 The fun starts at Bellamar as you walk into the foyer and you feast your eyes on the large open living room and combined kitchen area. 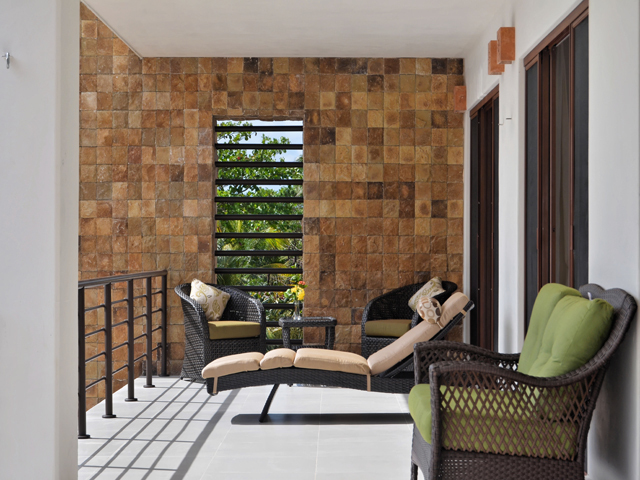 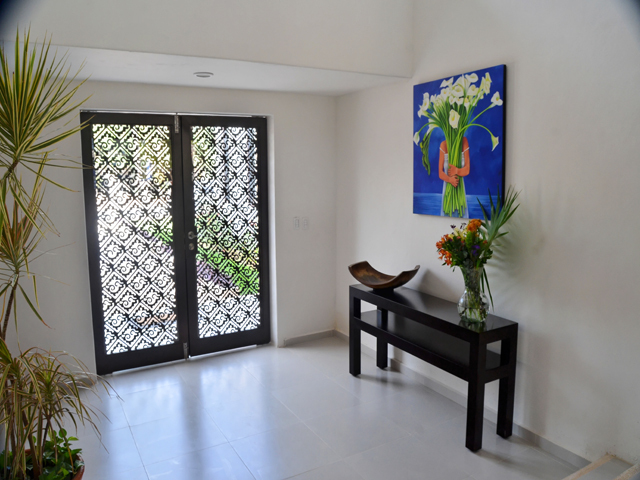 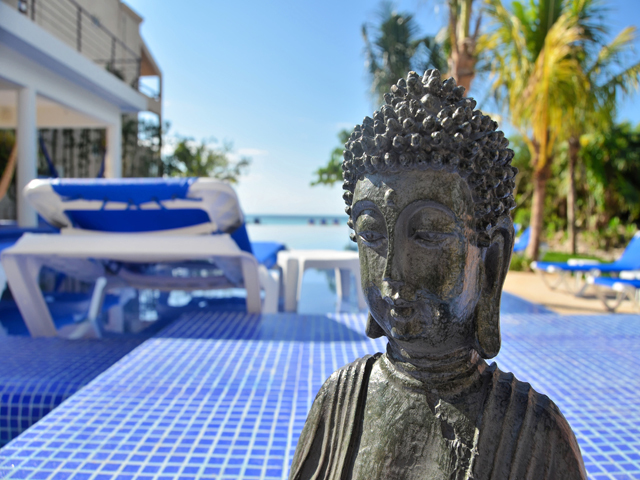 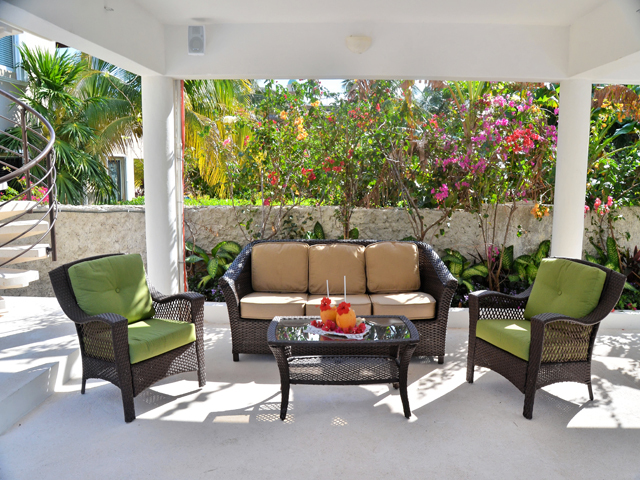 A few steps is all it takes to walk out the grand bay view sliding doors and be on the Caribbean. 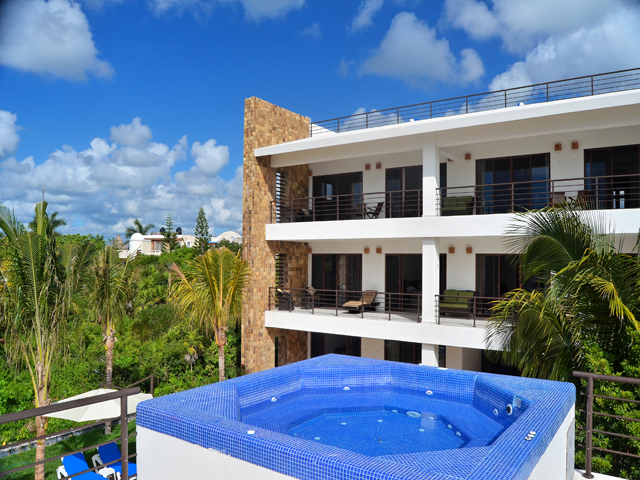 The pool and veranda are spectacular and also include separate Jacuzzi deck above the main veranda. 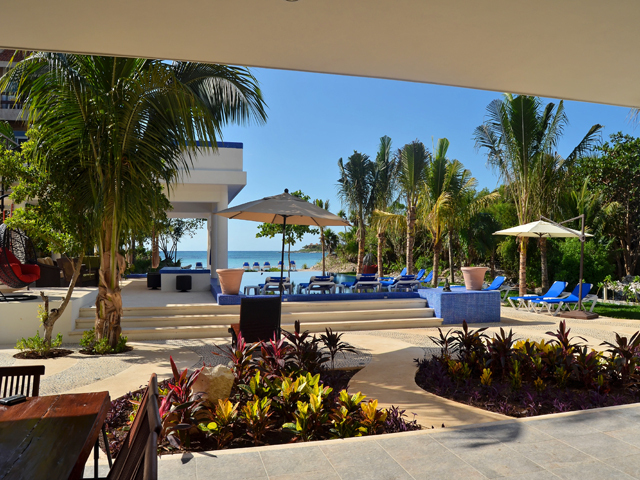 There is enough space for everyone to enjoy the sun, the shade and the water. 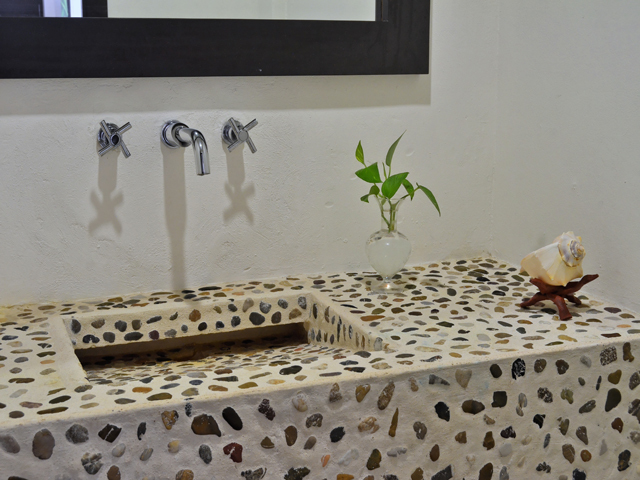 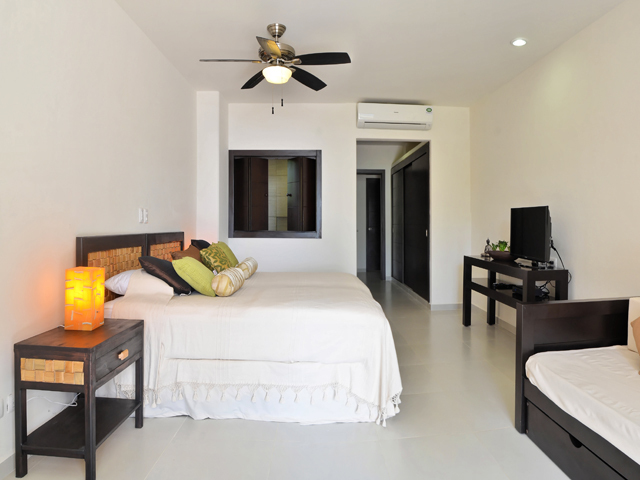 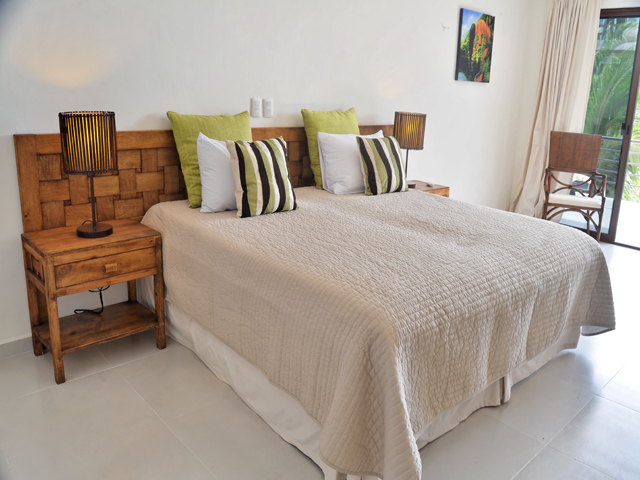 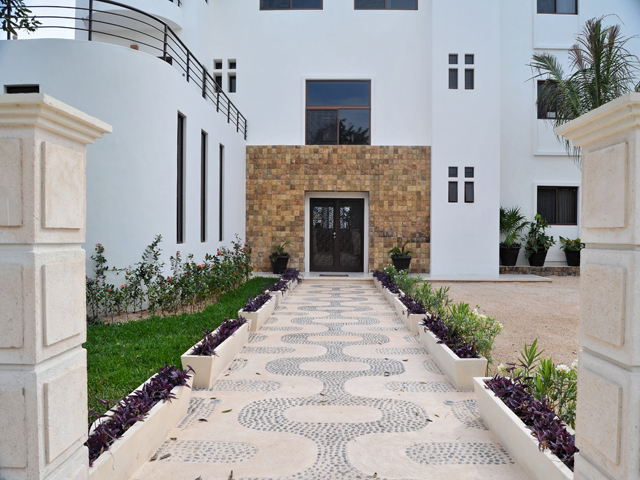 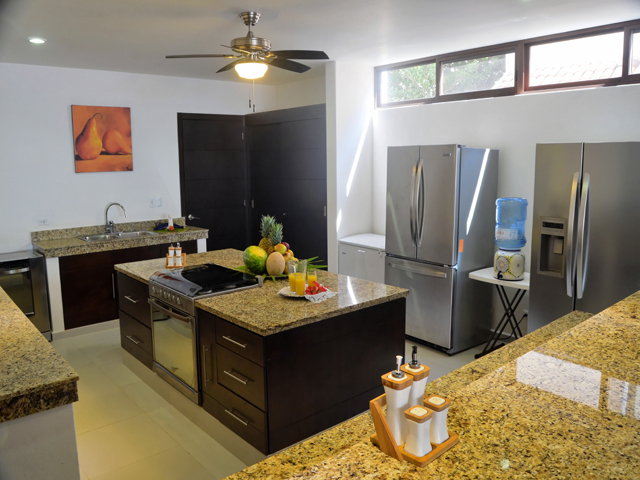 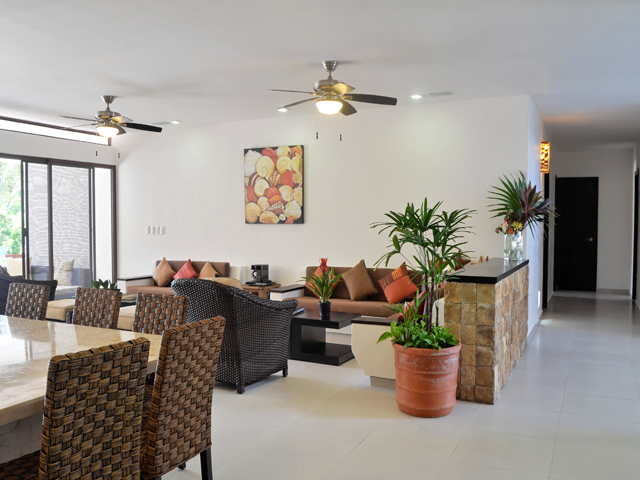 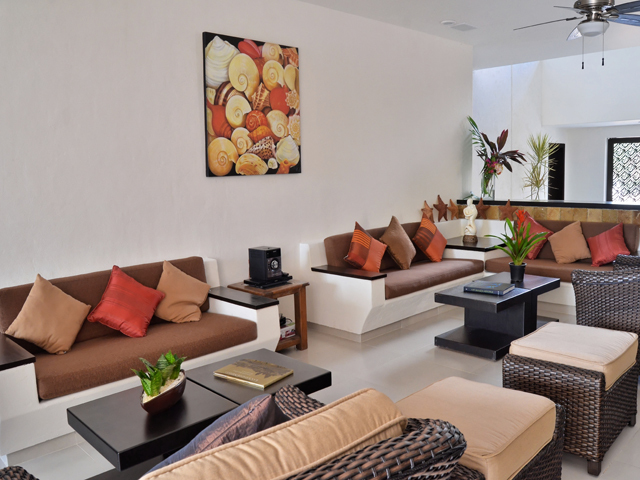 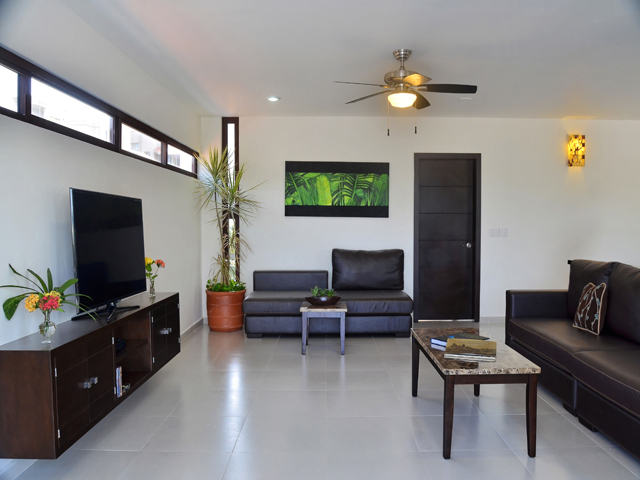 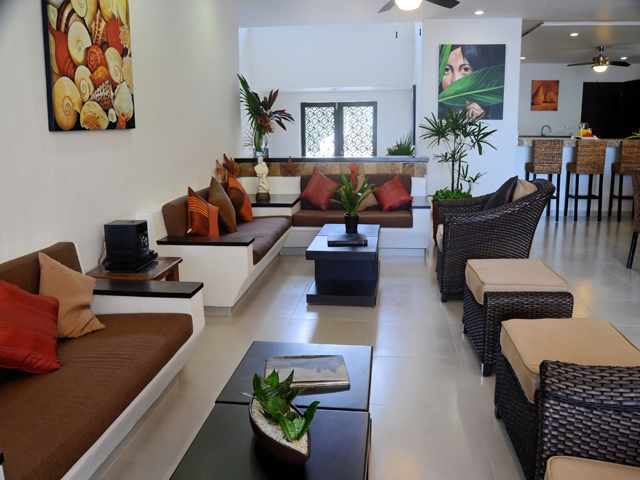 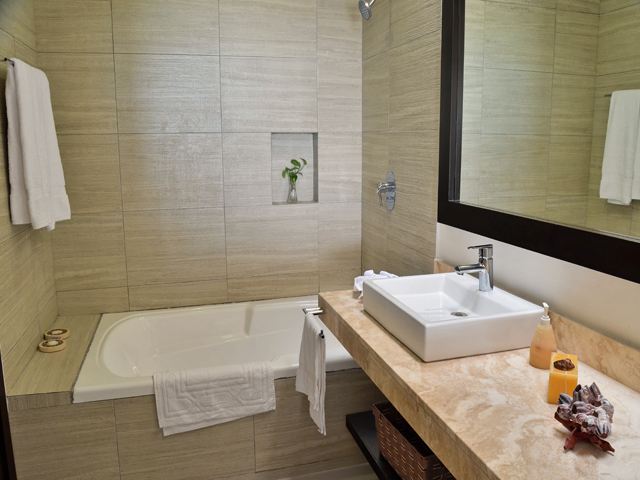 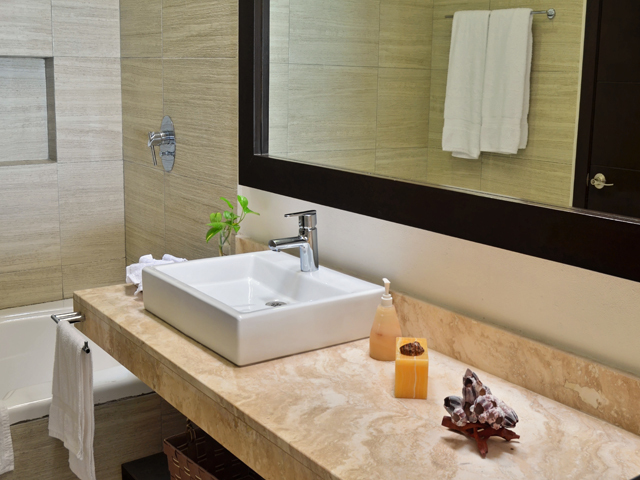 The interior of Bellamar is a wonderful mix of contemporary styling and comfort. 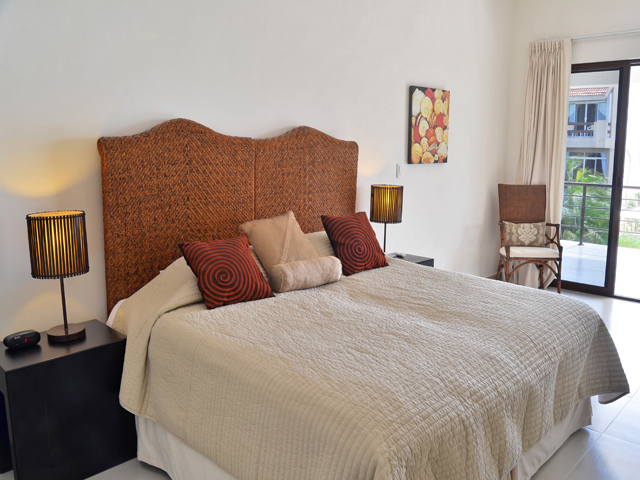 Each room has a king size bed and a single day bed. 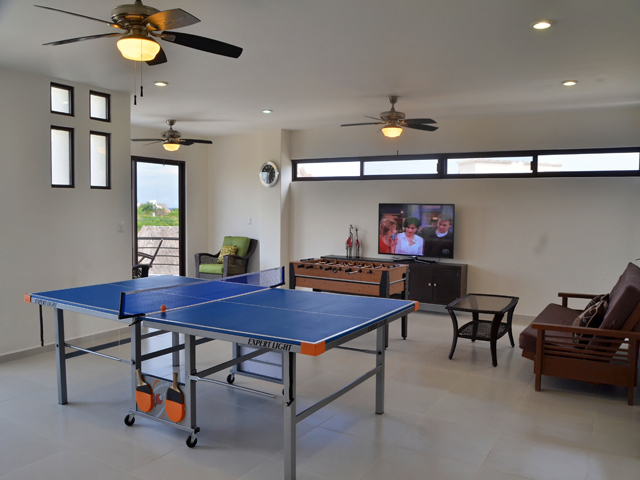 A large TV/game room rounds out the interior in this lovely home. 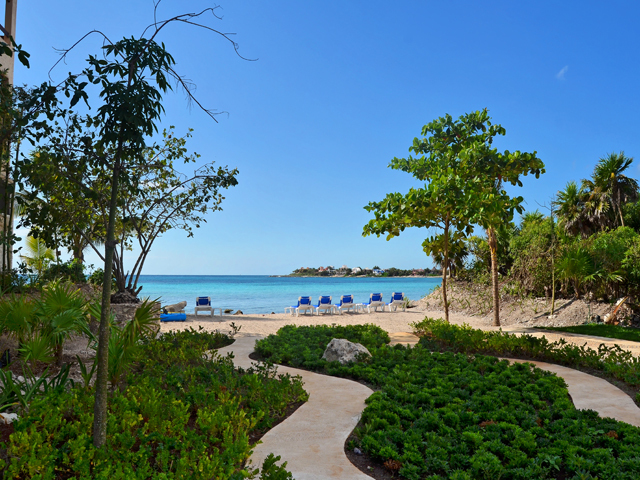 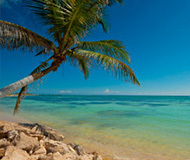 Come and enjoy this magnificent peace of paradise. 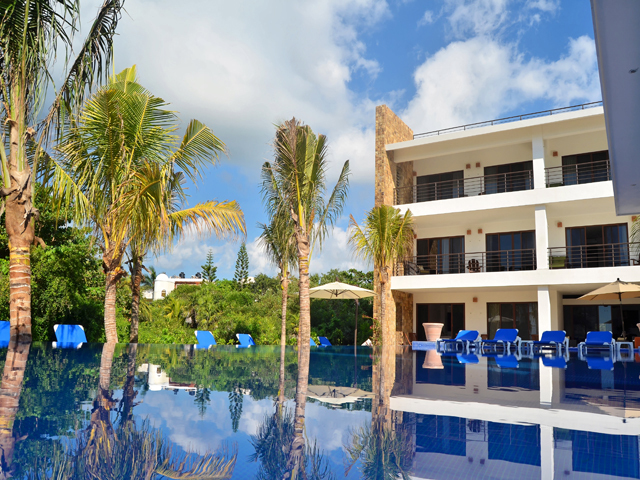 Dec 22 - Jan 05, 2019 | $32, 270 USD (Min stay 7 nights for 20 guests) Children under 24 months stay free.